The Calà was envisioned by Italdesign to fill Lamborghini's need for a replacement for the Jalpa, which discontinued production in 1988 at the behest of then owners of the company, Chrysler. 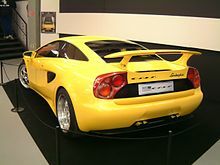 When Chrysler sold Lamborghini to Megatech in 1994, the Calà's design took shape, but when Megatech sold Lamborghini to the Volkswagen Group in 1998, the concept was shelved. The Jalpa would finally be replaced in 2003 by the Gallardo which used the principles of the Calà as an inspiration. The Calà was powered by a mid-mounted V10 engine, which generated a maximum power output of 400 PS (294 kW; 395 hp). It was mated to a 6-speed manual transmission that drove the rear wheels, with an aluminium chassis and a hand-built carbon fibre body. It borrowed elements from some of Lamborghini's iconic production vehicles, such as the headlights of the Miura and the widescreen of the Countach. Top speed was estimated at 291 km/h (181 mph), while the 0–97 km/h (0–60 mph) acceleration time was under 5 seconds. The Calà was built on the previous Gandini-styled P140 prototype. 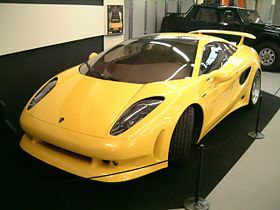 The car is featured in the 1997 computer and video game Need for Speed II and Need For Speed II SE. ^ a b c d e f g h i j "1995 Ital Design Lamborghini P140 Calà". International Lamborghini Registry. 2002-07-21. Archived from the original on January 26, 2009. Retrieved 2009-06-29. ^ Vijayenthiran, Viknesh (18 January 2013). "Lamborghini Calà Concept To Take Part In 50th Anniversary drive". Motor Authority. Retrieved 11 March 2015. ^ Garlitos, Kirby (16 January 2013). "Lamborghini Calà to Return for Automaker's 50th Anniversary". Top Speed. Retrieved 11 March 2015. ^ "1995 Italdesign Lamborghini Cala Concept". Bold Ride. Retrieved 11 March 2015. ^ Christopher Michael Baker. "Need For Speed II". Macrovision Corporation. Retrieved 2009-06-29. Wikimedia Commons has media related to Lamborghini Calà. This page was last edited on 11 February 2019, at 14:50 (UTC).